New Zealand (NZ) introduced rationing during the Second War World, largely in order to create a surplus of food that it could use to feed its British and American allies. It was in a way the mirror image of British wartime rationing: in Britain, the rationing was to deal with shortages. In New Zealand, the goal of the rationing was to create surpluses. The New Zealand government was determined to ensure that it would be able to meet the food requirements of their British allies. They had a supportive population; right away, victory gardens replaced flower gardens. Rationing was implemented at the very start of the war, starting with petrol for cars as the first item to be rationed. 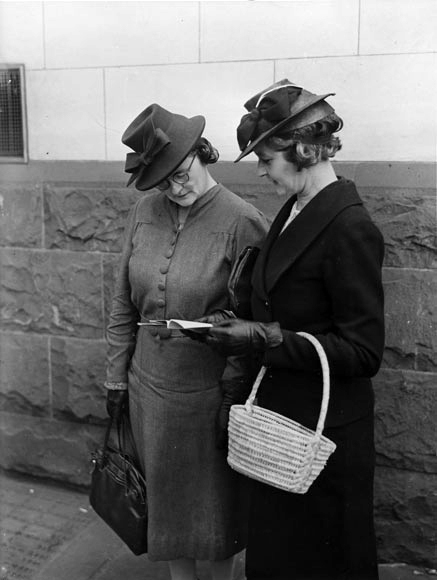 Auckland women examine the new rations book. 1942. The first ration books for food were issued during the week of April 20th 1942. They covered sugar and women’s stockings. You picked yours up at the Post Office; Post Offices kept special hours that week, staying open evenings. Stores cut the coupons out as you made your purchases. The second ration book issue was in October 1942. The head of the household could collect the books for everyone in the family. You had to hand in your previous ration books. Pregnant women got supplementary ration books. The third issue was during the second week of October 1943, and were printed in three different colours, to signify the three different age groups they were for: children six months to 5 years, children 5 to 10, and everyone else. The fourth series was issued starting 16th October 1944. There were 1 1/2 million issued. The fifth series was issued starting 15th October 1945. Jam and fluid milk were not rationed as they were in the UK, but only people suffering certain health issues were allowed to purchase cream. As the UK government began asking for more butter from New Zealand, butter came to be in short supply, causing a cooking fat shortage for housewives. The government had unfortunately previously banned margarine in order to protect dairy farmer’s monopolies (and the farmers wouldn’t tolerate the ban being removed for any reason, not even war), and olive oil wasn’t available then, so people would cook and bake with suet, beef dripping or lard. Cheese was not rationed but supplies released into the retail sector were limited by the Food and Rationing Controller. Oranges were on the ration coupons, but were rarely available. People gathered rosehips, and sold them to factories which made them into a Vitamin C rich syrup, which was used for infants instead of orange juice. 1943 – October 28. Butter rationing of 8 oz per person per week. (The average weekly consumption had been about 14 1/2 oz a week.) By the end of 1943, in response to political pressure, an extra 4 oz per person per week was granted to heavy workers such as coal miners, sawmillers, bush workers, etc. 1950 – June. Butter rationing ends. A great deal of the rationing in New Zealand would be based on the changing demands from the UK. In 1940, 90% of all exports were being sent to the UK. The UK government asked New Zealand to emphasize cheese production over butter. Cheese provides higher nutrition, is a substitute for meat, and is less tricky to store and ship. By June of 1940, New Zealand was shipping 100,000 tons of cheese a year to the UK, 20,000 tons over the 1939 figure. That had to be slowed down though in December of 1940 when, owing to German U-Boat activity, the UK was forced to divert when possible shipping to shorter runs such as Canada and America. The longer the shipping run, the greater chances of running into U-Boats. In December 1941, the UK redirected most of its refrigerated shipping for meat to South America, as the runs to there were half the time. To fit more meat into what shipping space was available from New Zealand to the UK, beef was boned, and lamb and mutton carcasses were “telescoped” (the leg portion packed inside the trunk.) These measures saved about 15 cubic feet per 100 cubic feet. They also gave prioritized shipping to better classes of meat, such as lamb over mutton. Despite these measures which helped a bit, the sudden great reduction of available shipping space led to an overstock of food in New Zealand. The NZ government quickly built large refrigerated warehouses to store some of it, and encouraged industry to can and dehydrate meat. Still, there was another worry in the back of the government’s mind: that all this stock might be sitting around after the war, and suddenly flood on the market, depressing meat prices for farmers and causing political headaches. By later 1941 / 1942, the shipping runs to the UK were getting a bit safer. In response to requests from the UK government, New Zealand ramped up cheese production further, and shipped 132,000 tons to the UK. To effect this, over 6,000 dairy farmers had to be persuaded to switch to cheese-making. Almost all did voluntarily; fewer than a 100 had to be handed compulsory orders. Many butter plants were converted to cheese plants, and butter production fell by 32,000 tons. Then in June 1942, the UK Ministry of Food asked New Zealand to switch back to emphasizing butter production, because cheese supplies from Canada, a shorter distance, had increased so much. They wanted cheese supplies reduced by 40,000 to 60,000 tons, and butter increased back up by 20,000 to 30,000 tons, owing to a shortage of cooking fats in the UK. Consequently, some farmers and dairies were allowed to switch back to butter. In June 1942, the government’s worry about meat oversupply was alleviated when it became necessary to supply American forces in the Pacific. The United States Joint Purchasing Board bought over 10,000 tons of NZ meat including bacon and ham in the second half of 1942. The Americans took all the meat they had, and wanted more. In response, fresh pork consumption was banned in New Zealand in order to be able to supply the Americans. From 1943 onwards, the American Joint Purchasing Board was buying 6,000 tons of NZ meat a month. The 1943 to 1944 farming season in New Zealand was bad. Crop growers were impacted by a shortage of fertilizers owing to Japanese occupation of certain key islands in the Pacific where components for the fertilizers had been sourced. And, the weather was bad, leading to heavy losses of newborn lambs, and butterfat production falling by 10%. In the middle of this, in April 1943, the UK Ministry of Food asked for any and all meat available, as American supply hoped for had fallen short by 458,000 tons of meat, and shipping to and from New Zealand had become safer. 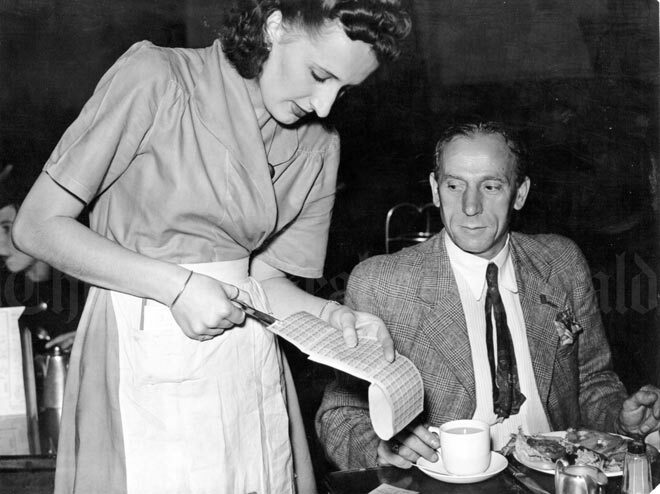 Consequently, in October 1943 butter rationing was introduced in response to the butterfat shortfall; Australia and Canada were quoted as precedents as they were already rationing dairy. And in March 1944, general meat rationing was introduced to meet the re-increased demands of the UK, and keep on supplying American forces at the same time. Before the war, around £600,000 worth a year of fresh fruit such as apples and pears were exported to the United Kingdom. The UK Ministry of Food, however, put fruit such as apples and pears at low priority for shipping space. Consequently, the amount exported to the UK dropped to £200,000 in 1940, and then down to £60,000 a year in 1943 and for the rest of the war. 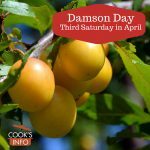 No one has yet invented an apple or pear tree that can be switched off and on, so naturally this led quickly to a domestic surplus of fruit in New Zealand. The slack was picked up a bit from 1942 to 1945 by American forces, who took 1/7th of the fruit crop during those years. But naturally, some fruit farmers gave up, and converted their land to other uses. Orchard acreage in New Zealand did not recover its pre-war figures until 1955. The peak harvest season in New Zealand is in March. Throughout the war, farmers resisted successfully being classified as an essential industry, while still balancing demands for their “special needs.” 10,000 military men were used to assist with the 1941 to 1942 harvest, and 8,000 for the 1942 to 1943 harvest. 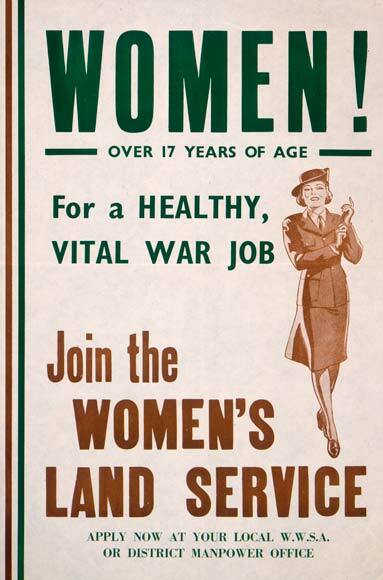 To avoid too many repeats of pulling men from active military service to help with farming, a Women’s Land Corps was formed at the end of 1941. About 7,000 women had been in farm work before the war, but farmers initially said they didn’t want anymore of them: that women weren’t suited for a great deal of the work, and besides, they didn’t want to pay the women as much as they paid men. Nevertheless, quiet words with farming organizations gradually enabled the Women’s Land Corps scheme to take off. The women were expected to live with the families they were posted with, and take their meals with them, but the overall terms of working in the Corps weren’t great, so by June 1942, it had only attracted 146 women. In August 1942, the name was changed to the Women’s Land Service, and terms were improved. By mid 1943, the Service had 800 women, and by March 1944, 1,900 women. By the start of 1944, farmers began clamouring for even greater assistance, and so the New Zealand government brought the Third Pacific Division home so that those men could be released for farming and other essential work. Farmers, however, were laggards at reporting back to the government just how many men they needed, so in the end by November 1944, only 4,286 of a total of 9,100 men released from the Third Division were actually working on farms. prepping cabbages to be dehydrated. The New Zealand government estimated that butter rationing in 1943 freed up an extra 8,000 tons a year for export to Britain and to supply American Pacific forces; that was in addition to the increased production. Domestic butter consumption, per head, slowly went down: 1942-43, 48 pounds; 1944-45, 36 pounds; 1945-46, 31 pounds. By 1945, in its Official Yearbook for the year, the government estimated it was then freeing up 15,000 tons of butter. In 1943, the government estimated that it freed up 10,000 tons of meat, and in 1945, 35,000 tons of meat. The new ration books will be procurable from Monday next, and it will be incumbent upon every person to obtain one before the end of the month. Although the new books will be procurable on Monday, the coupons contained in them will not be available for use until a date yet to be officially announced, and no official statement has as yet been made as to the coupons in the new book and their uses. This will be the third issue of ration books, the first and second having been issued in April and October last year. The new books have been printed in three different coloured inks according to the- age class to which they are intended to apply. The new ration books can be obtained from all money order offices, and to deal with the extra work that their issue will involve additional staffs will be on duty. Special hours for the issue of the books have been arranged, provision being made for their issue in the evening as well as during the usual day hours: Details will be advertised. When application is made for a new ration book it will be necessary to complete a special form and to produce the old ration book, second series. Holders of ration books who are 16 years of age and over also will be required to present their social security coupon books. While a separate application is required for each person, the head of the household may complete and sign the application forms and secure the ration books for all members of the family. Applications for children under 16 years must be made by the parent or guardian. Members of the Armed Forces who are living out of camp are to produce a certificate from their commanding officer on a prescribed form, together with their second series ration book. SUPPLEMENTARY BOOK. In addition to her own book, a supplementary ration book will be issued to expectant mothers. Application is to be made on a special form, supported by the third series ration book and a medical certificate from a doctor, antenatal clinic, registered midwife, or district Plunket nurse. However, if the applicant already has received a clothing coupon card, no medical certificate is needed. Special application forms will be available at maternity hospitals and doctors’ surgeries. Clothing coupons in this supplementary ration book may be used immediately the book is received, but not so with the other coupons in it. This supplementary book will be exchanged for a child’s ration book when the infant for whom it was procured reaches the age of six months. Baker, J. V. T. War Economy: Official History of New Zealand in the Second World War 1939–45. Wellington, New Zealand: Historical Publications Branch. 1965. Ration Books: Issue of New Series. Evening Post, Volume CXXXVIII, Issue 87, 10 October 1944, Page 4.